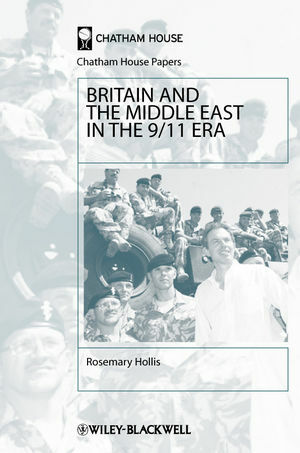 This authoritative book examines British policy in the Middle East, focusing on how Britain’s response to 9/11 – particularly the decision to join the US invasion of Iraq – has affected its role and relations in the region. Documents Britain’s ‘niche’ role in the Middle East peace process. Dr Rosemary Hollis is Director of the Olive Tree Scholarship Programme at City University London, and was formerly Director of Research at Chatham House. Chapter 1: Historical Background: Stages in the Relationship. Chapter 2: New Labour Worldview and the Middle East. Chapter 3: New Labour: New Policy-Making Process. Chapter 4: Britain’s Role in the Peace Process: 1997 to 2001. Chapter 5: The Road to War in Iraq. Chapter 6: Reaping the Whirlwind: the Fallout from the Invasion of Iraq for British Relations across the Middle East. Part II: Around the Region. Chapter 7: Realpolitik and the Peace Process after 9/11. Chapter 8: Still Flying the Flag: Britain and the Arab Gulf States.